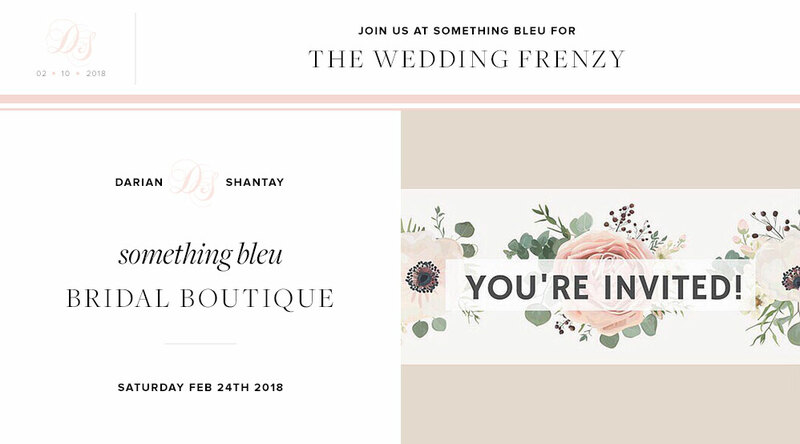 Get a head start on your wedding planning all in one spot! 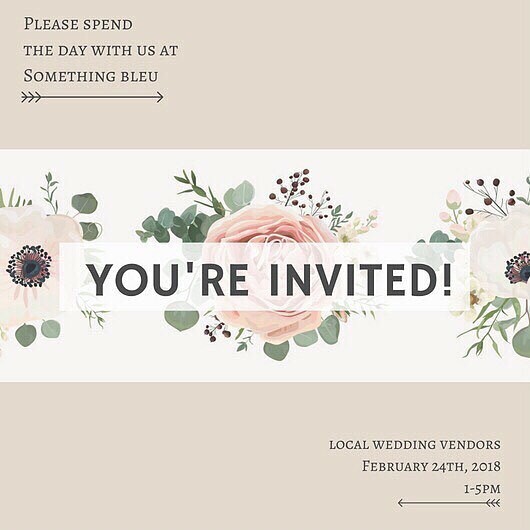 Something Bleu Bridal Boutique will be opening its doors for local vendors from 1 - 5pm Saturday February 24th. Don't miss the chance to find the perfect wedding dress + wedding vendors for your big day! From planners, photographers, videographers, florist and many more. There will be light bites, champagne and give-a-ways that you wont want to miss! + as a special thank you for joining us, all brides who book with me (Darian - for your wedding day photography) will receive a FREE engagement session!! Perfect for save-the-dates, announcments and much more! For more information or any questions please contact Benny and Blaire HERE. DO I NEED AN APPOINTMENT? No, you do not! there's so much more to see . . .